NASA spacecraft orbiting Mars have returned clues for understanding seasonal features that are the strongest indication of possible liquid water that may exist today on the Red Planet. 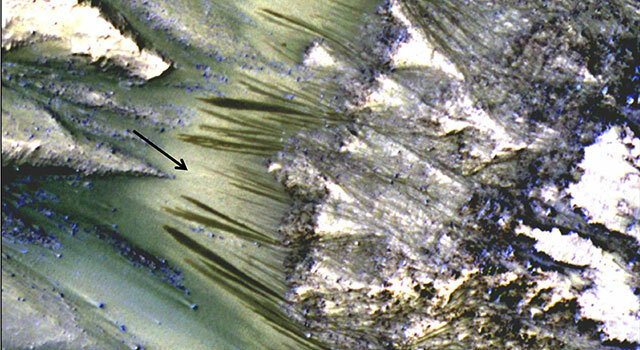 The features are dark, finger-like markings that advance down some Martian slopes when temperatures rise. The new clues include corresponding seasonal changes in iron minerals on the same slopes and a survey of ground temperatures and other traits at active sites. These support a suggestion that brines with an iron-mineral antifreeze, such as ferric sulfate, may flow seasonally, though there are still other possible explanations. 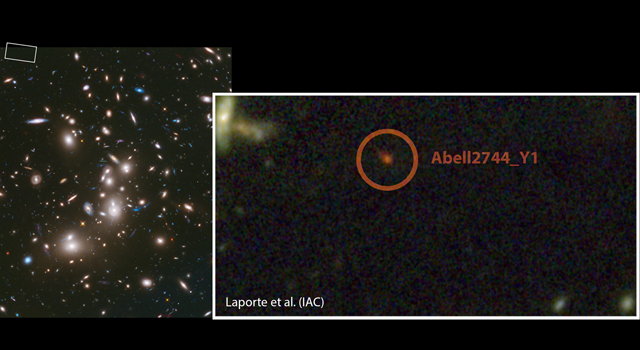 Researchers call these dark flows "recurring slope lineae." As a result, RSL has become one of the hottest acronyms at meetings of Mars scientists. "We still don't have a smoking gun for existence of water in RSL, although we're not sure how this process would take place without water," said Lujendra Ojha, a graduate student at the Georgia Institute of Technology, Atlanta, and lead author of two new reports about these flows. 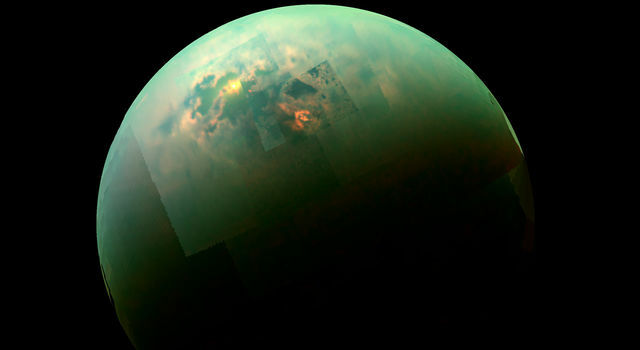 He originally discovered them while an undergraduate at the University of Arizona, Tucson, three years ago, in images from the High Resolution Imaging Science Experiment (HiRISE) camera on NASA's Mars Reconnaissance Orbiter. Ojha and Georgia Tech assistant professor James Wray more recently looked at 13 confirmed RSL sites using images from the same orbiter's Compact Reconnaissance Imaging Spectrometer for Mars (CRISM) instrument. They searched for minerals that RSL might leave in their wake as a way of understanding the nature of these features: water-related or not? They didn't find any spectral signature tied to water or salts. But they did find distinct and consistent spectral signatures of ferric and ferrous minerals at most of the sites. These iron-bearing minerals were more abundant or featured distinct grain sizes in RSL-related materials as compared to non-RSL slopes. These results are in a paper published in the journal Geophysical Research Letters. Ojha said, "Just like the RSL themselves, the strength of the spectral signatures varies according to the seasons. They're stronger when it's warmer and less significant when it's colder." One possible explanation for these changes is a sorting of grain sizes, such as removal of fine dust from the surface, which could result from either a wet process or dry one. Two other possible explanations are an increase in the more-oxidized (ferric) component of the minerals, or an overall darkening due to moisture. Either of these would point to water, even though no water was directly detected. The spectral observations might miss the presence of water, because the dark flows are much narrower than the area of ground sampled with each CRISM reading. Also, the orbital observations have been made only in afternoons and could miss morning moisture. The leading hypothesis for these features is the flow of near-surface water, kept liquid by salts depressing the freezing point of pure water. "The flow of water, even briny water, anywhere on Mars today would be a major discovery, impacting our understanding of present climate change on Mars and possibly indicating potential habitats for life near the surface on modern Mars," said Mars Reconnaissance Orbiter Project Scientist Richard Zurek, of NASA's Jet Propulsion Laboratory, Pasadena, Calif. 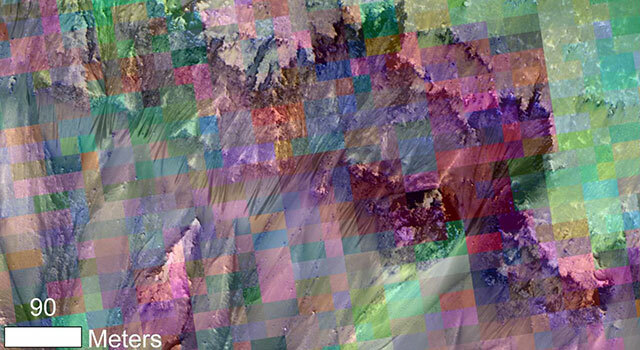 In related research, reported in a paper to be published by the journal Icarus next month, the Georgia Tech scientists and colleagues at the University of Arizona; U.S. Geological Survey, Flagstaff, Ariz.; and Polish Academy of Sciences, Warsaw, used the Mars Reconnaissance Orbiter and NASA's Mars Odyssey orbiter to look for patterns in where and when the dark seasonal flows exist on Mars. Their results indicate that many sites with slopes, latitudes and temperatures matching known RSL sites do not have any evident RSL. They hunted for areas that were ideal locations for RSL formation: areas near the southern mid-latitudes on rocky cliffs. They found 200, but barely any of them had RSL. "Only 13 of the 200 locations had confirmed RSL," said Ojha. "The fact that RSL occur in a few sites and not others indicates additional unknown factors such as availability of water or salts may play a crucial role in RSL formation." They compared new observations with images from previous years, revealing that RSL are much more abundant some years than others. "NASA likes to 'follow the water' in exploring the Red Planet, so we'd like to know in advance when and where it will appear," Wray said. "RSL have rekindled our hope of accessing modern water, but forecasting wet conditions remains a challenge." JPL, a division of the California Institute of Technology, manages the Mars Reconnaissance Orbiter and Mars Odyssey projects for NASA's Science Mission Directorate, Washington. Lockheed Martin Space Systems in Denver built both orbiters. The University of Arizona operates the HiRISE camera, which was built by Ball Aerospace & Technologies Corp. of Boulder, Colo. The Johns Hopkins University Applied Physics Laboratory, Laurel, Md., provided and operates CRISM. 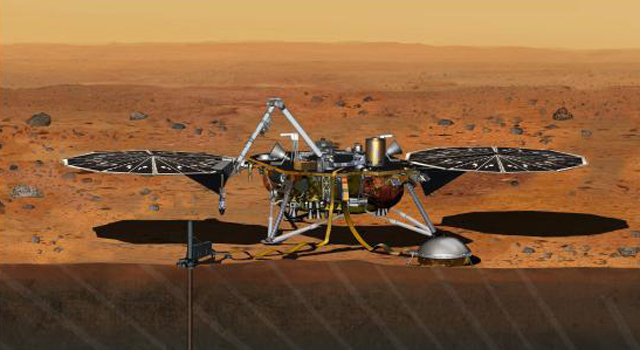 For more about NASA's Mars exploration missions, see http://www.nasa.gov/mars and http://mars.jpl.nasa.gov . The new research reports about recurring slope lineae are available at http://wray.eas.gatech.edu/Ojha_etal2013-acceptedGRL.pdf and http://wray.eas.gatech.edu/Ojha_etal2014-acceptedIcarus.pdf .